Hybrid Electric has been involved in the Development of Alternate Power Vehicles since 1974. 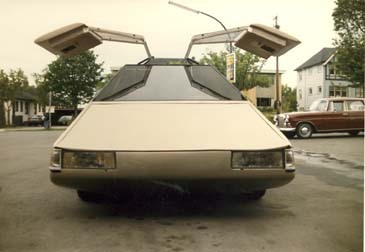 In 1986, Hybrid Electric's owner, S.S. Gandhi built the one of the world's first gas-electric hybrid car, called the Gaselle. The Gaselle was constructed for Expositon '86. 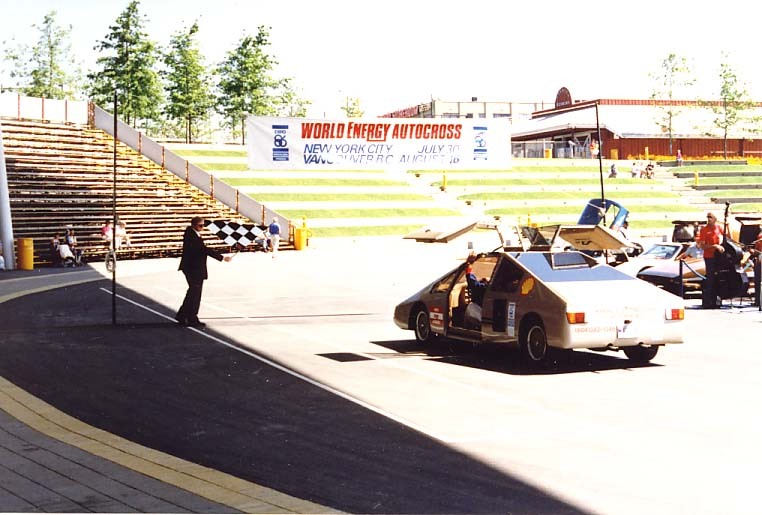 The Gaselle competed in the World Energy Autocross and was the only car complete the race. The race commenced from United Nations Plaza,New York by Javier Pérez de Cuéllar, the Secretary General of the United Nations. After leaving New York, the race continued on a 16 day course to Mile Zero, Victoria, BC, Canada, a distance of 8050 km (5000 miles). The Gaselle was then sent up on display at Expo '86 for the duration of Exposition. Below, a photo at Exposition '86 in Vancouver.